We know that church leaders are under pressure to save money, whether they’re starting a building from scratch or undertaking a church remodeling project—and we want to help. 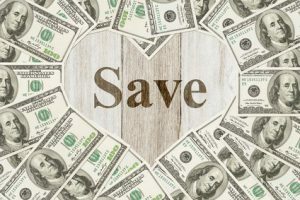 What are some specific things to consider when you’re trying to save money on a church building project? In this post, we continue offering ideas on ways you can lower costs. Let’s consider the potential savings in what we call life cycle costs. These reflect the true expense to use a product over time. To calculate this cost, you take what is paid for a product and divide it by the number of years you expect to use it. You should always calculate the life cycle cost for bigger elements in a church remodeling or building project, such as the roof, flooring, HVAC systems, lighting, etc. In our post previous on up front savings, we mentioned the possibility of installing cheaper olefin carpet. This less expensive grade carpet likely will wear out faster and end up costing you more over the life of your church building, since it will need to be replaced more often. On the other hand, if you invest up front in a stronger nylon carpet that will stand up to more years of wear, your overall cost per year of use is less. The above example doesn’t mean that you should always choose a higher-quality, longer-lasting material. If, for instance, you decide your objective is to have a maintenance-free church building, you could end up increasing your up-front costs to the point where you’d no longer be able to afford as large a building as you’d originally intended. Having less square footage could then become a problem later on, as your church grows. Another calculation pitfall, based on our experience with many church remodeling and building projects, has to do with getting the correct figures for various payback periods. Many companies calculate life cycles for their products based on usage that’s just not comparable to what a church building typically sees. For example, a manufacturer might present a spreadsheet that shows how much you’re going to save with an LED lighting system—but it’s probably based on what happens with a typical office building or school. The problem is that schools and office buildings get heavy use for eight or more hours a day, five or six days a week. That means 40 to 50 hours of use each week. However, churches aren’t used that heavily—even active ones. Say those lights are in your worship space. It’s difficult to imagine they’ll be used more than 15 or 20 hours per week—less than half of the calculation for a school or office environment. This means it will actually take more time for you to realize the life cycle cost savings claimed on the spreadsheet. What they claim would be a five-year payback might actually be 15 years—which is a significant difference to be figured into your church building budget. It could turn out that you actually don’t need the highest-quality light bulbs, which would cost a lot more up front. Speaking of light bulbs, the next installment in this series will focus on energy savings for your church remodeling or building project. Meanwhile, if you haven’t signed up for our i3 webinars, we invite you to do so. You will learn more useful tips like these to help you stay within budget for your church building project. Simply visit our website. They’re absolutely free.